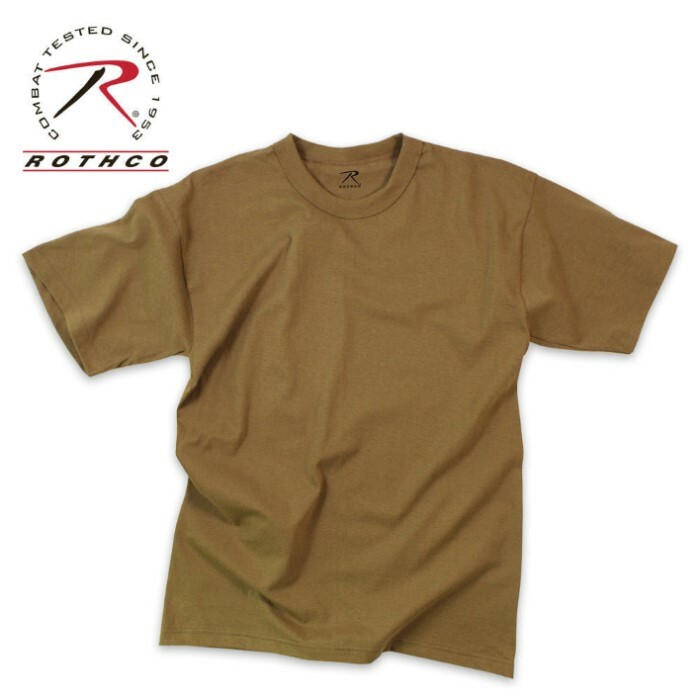 Brown Moisture Wicking T-Shirt | BUDK.com - Knives & Swords At The Lowest Prices! Stay dry in this moisture wicking short sleeve t-shirt crafted with a 2-needle neck and 100% polyester construction. This brown t-shirt is sized to government specifications.